Ah, the fruitcake! That most reviled of Christmas foods! 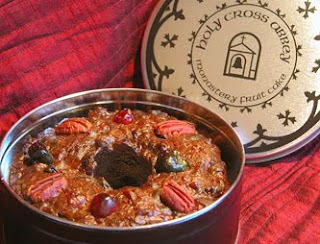 There are monastery fruitcakes (like the one my family used to receive), usually made by Trappist brothers, which are notable for their strong alcoholic qualities and a dense, cellared moistness.